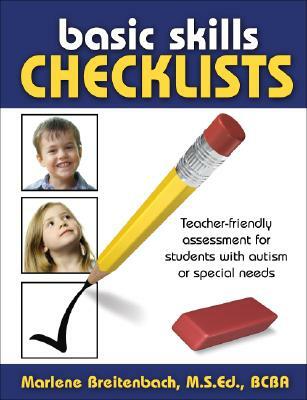 Basic Skills Checklists is an easy-to-use, informal assessment tool that provides a systematic method for tracking student skills. Marlene Breitenbach, M.S.Ed., BCBA is a special educator and consultant with over 25 years of experience teaching children with autism and severe disabilities. She is currently Special Education Autism Coordinator at the Department of Education in Price Edward Island, Canada, where she provides academic/behavioral assessment and individualized program support for students in inclusive settings. Marlene also conducts staff training and was an invited member of the Consensus Panel selected by the New York State Department of Heath.